If you were thinking of getting a Red Scarlet-X 4K baby cinema cam for that pet film feature, but were on the fence because, well, $11,900 is a lot of cash -- there's good news. The company just announced they would be selling "a whole truckload of Scarlets" for $7,100 each instead, as they had been used on a rental for a "pretty special 3 second shot." As such, the camera body has less than a minute of recording time, and would come with an SSD module, Canon mount and full warranty for that sum -- along with the option to change out the MX sensor to Red's upcoming Dragon model, presumably. Bear in mind that you'd still lack the SSD drive, LCD, batteries or charger needed to shoot, but even with all that would still be under the regular basic price -- meaning you might be able to stop saving up and start shooting. 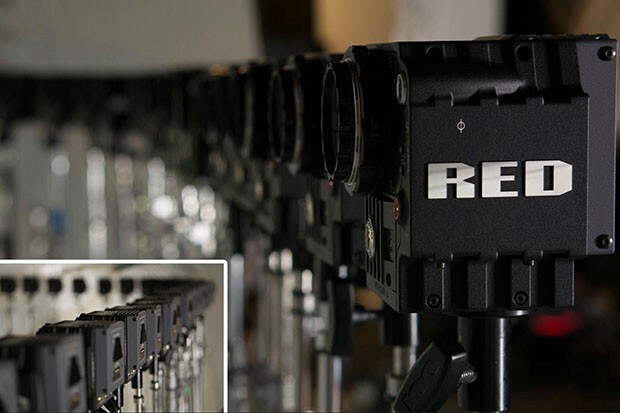 Red offers 'truckload' of one-time rental Scarlet-Xs for almost $5K off each originally appeared on Engadget on Tue, 16 Oct 2012 09:22:00 EDT. Please see our terms for use of feeds.